Triangular in shape, the St. Angelo Fort is also known as the Kannur Fort. This was built by the Portuguese Viceroy Don Francesco de Almada. 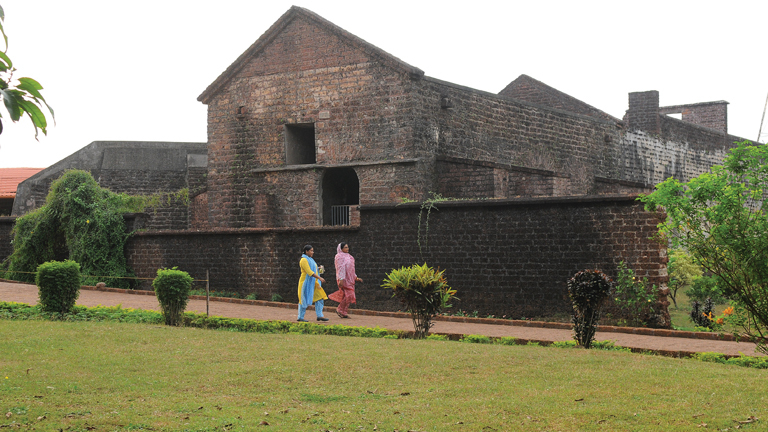 Built in 1505, the Fort was captured by the Dutch in 1663 and later sold to the Ali Raja of the Arakkal dynasty. The Fort was taken over by the British in 1790 and turned it into its main army centre in the Malabar region. Now, it is under the Central Archaeology Department. From the Fort, we can see the Moppilla Bay, and hundred meters from the seashore, the picturesque Dharmadom Island in the Arabian Sea, a sight worth watching. The Dharmadom Island is only five acres in size. The bay which was once a fishing centre is, today, a modern fishing harbor built as per the Indo-Norway agreement.